doing really well with removing my makeup, being on top of my facial products and drinking lots of water and somehow someway I stopped. 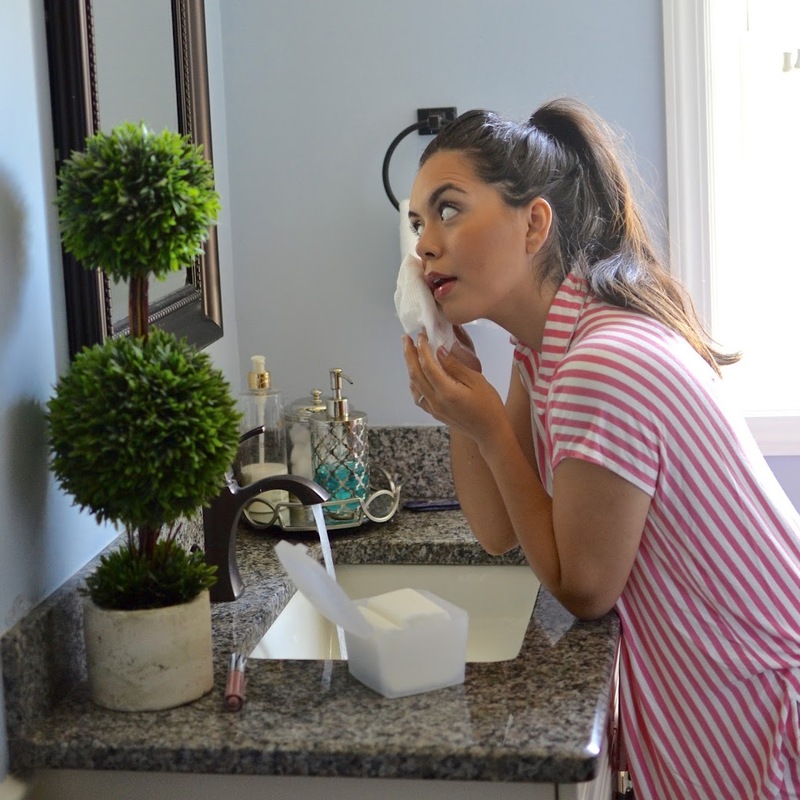 If this has happened to you before, you know that a great skincare routine is essential and your face will truly show it. With the craziness in my life right now, somehow my beauty sleep and beauty routine took a toll. But I’ve reclaimed my beauty throne and I am back! 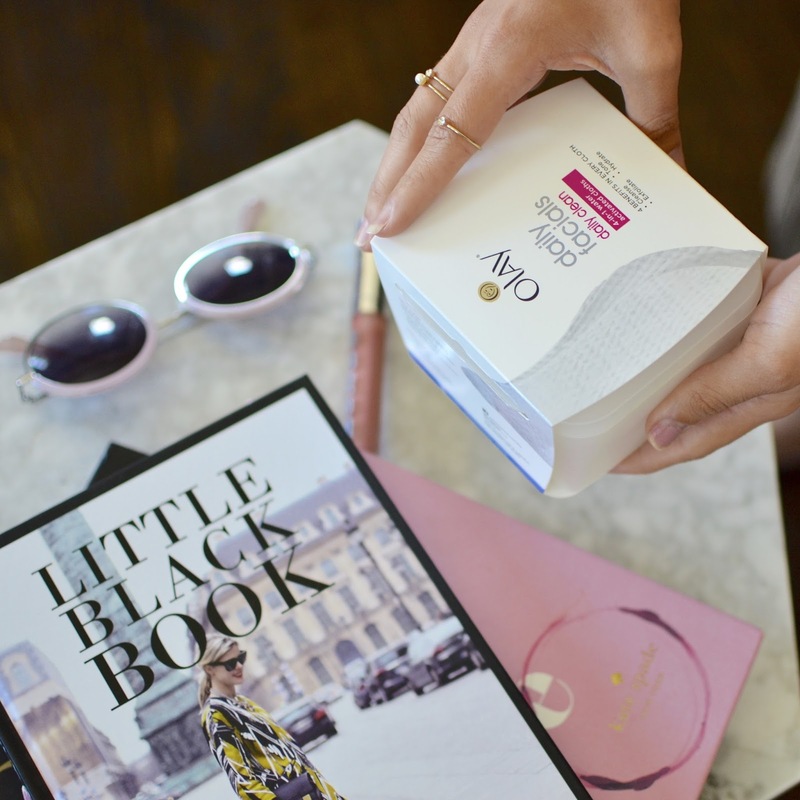 Which is why I want to tell you that I have partnered with Olay to share my love for the Olay Daily Facials Daily Clean 4-in-1 Water Activated Cleansing Cloths and why. We’ve all been there, long days, extremely exhausted and you forget or put off removing your makeup. The next day I dislike myself very much for it. But ever since I started using Olay Daily Facials I actually look forward to cleaning my face, even at night. My skin instantly looks refreshed and feels hydrated. Olay Daily Facials have multiple benefits, not only are you removing makeup but also taking care of your skin while at it. I love how soft the textured cloths are. The bonus? They are multifaceted! It has the benefits of a facial scrub, toner, mask and cleanser; giving you 4 results in one product. You can use it daily to remove oils, dirt and makeup. I’ve used micellar water before and still have some in my bathroom but truthfully you have to clean more than once and then wash again with a cleanser and water. With Olay Daily Facials it’s a one-time clean, it’s a complete cleanse leaving you with radiant, healthy-looking skin right away. All you do is wet the cleansing cloth, rub for a lather, clean your face (even the eye area! ), and pat dry for a refreshed feeling and look in seconds. It helps me feel confident going without makeup and that’s a feeling I can’t put a price on. If you’ve seen my Instastories you know that most days I am without makeup and I love it. It makes me feel younger and it’s one less thing to do in the morning. Olay Daily Facials Daily Clean 4-in-1 Water Activated Cleansing Cloths help me improve that confidence. This is a sponsored conversation written by me on behalf of Olay . The opinions and text are all mine.